Hello there, friends. During the month of October, I will be writing a weekly film column that focuses on early horror and the beginnings and development of clichés, makeup and types of horror. We’re going to be covering movies from 1920 to 1958, and I’ve divided each week into a different category of exploration. They are also in chronological order, apart from two that I moved around to fit each theme. I hope you guys have a blast reading, and I’m looking forward to learning more about a genre I have very little experience in. I hope that from this, readers will begin to garner an interest in old horror. Without further ado, on to week one. This week’s theme is “monsters” and centers on exactly what you would think. Early horror is relatively basic and limited, even at its best, so we’re kicking off the series with a look at some of horror’s central figures and building from there made sense to me. Our four movies of the week are “The Cabinet of Dr. Caligari” (1920), “Nosferatu” (1922), “Dracula” (1931) and “Frankenstein” (1931). 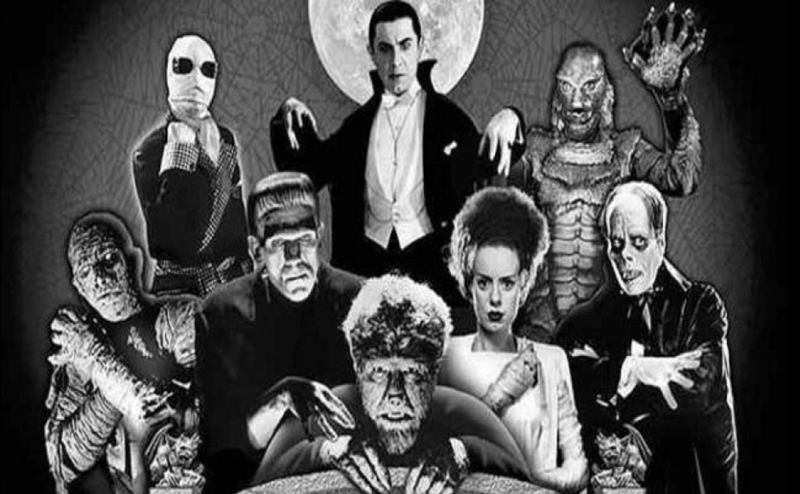 Week one’s theme, “monsters,” is pretty basic, but in a week that contains two famous vampires and Frankenstein’s monster, one of the movies stands apart. That would be “The Cabinet of Dr. Caligari,” whose monster leans more toward the psychological variety; namely, obsession, and the hypnotized hulk who kills people, but obsession makes it seem like I really know my stuff when it comes to film analysis. (Hint: I don’t.) The one thing I didn’t expect from a 1920 horror film was to be caught off guard. But, “The Cabinet of Dr. Caligari” managed to sneak in unsettling characters and an effective twist, even as a silent film. This series is about the evolution of horror, and considering this is the first film we’re covering, it has the least material to build off of. But, I noticed the introduction of a horror cliché, and if this is the groundwork for future columns, it’s solid, if a little silly. “Dr. Caligari” is the oldest film on the list, and there’s something so charming about its blatantly obvious film sets and over-the-top makeup, which added to the feeling that you were watching something akin to a stage production. The film legitimately feels like a production or an art exhibit, and that vibe carries the relatively simple story of a man describing his role in a hypnotist’s murdering spree along perfectly. Audiences probably wouldn’t pay to see that on screen anymore, but it’s something you can’t help smiling at. Obviously, there are limits to what a silent 1920s film can do, but “Caligari” makes the most of what it has. 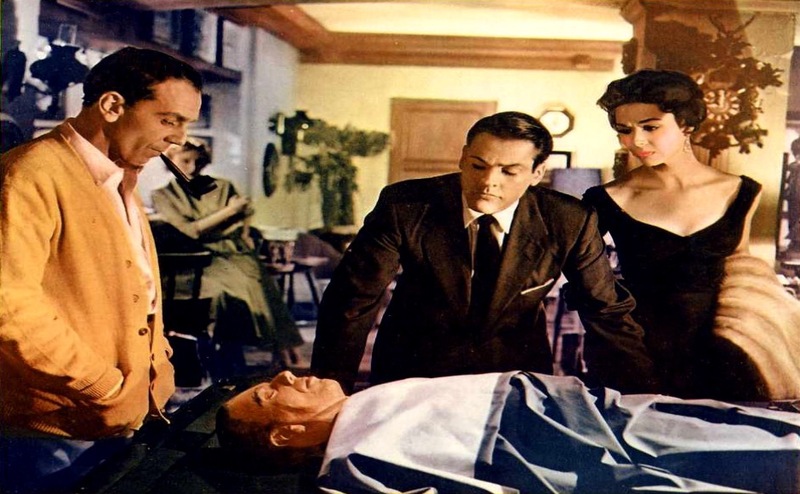 Makeup-wise, each character’s gaunt visage is so theatrical that none of it feels real, but the good doctor and his somnambulist (the hypnotized murderer) are suitably discomforting in their appearance. For a horror movie, “Caligari” certainly isn’t scary by today’s standards, but the film’s creepiest imagery comes from the art direction on both the doctor and his somnambulist, who appear almost in the realm of the uncanny valley. “Caligari” is also somehow a stealth-slasher film, and with that identity comes one of the subgenre’s most common clichés: young, sexually charged guys and gals who become murder victims. It’s not blatant, but the groundwork for the stereotype is there and caught my attention almost immediately. Considering it’s only an hour long and is available on the public domain, this one is worth the watch if you genuinely want to see what horror films were like early on. The story behind “Nosferatu” is one that many with a basic knowledge of horror movies seem to know. Director F. W. Murnau was unable to get the rights to Bram Stoker’s “Dracula,” so he just changed the name and pretty much got away with it. The story doesn’t end there, but that’s not what we’re here to talk about. It’s a crazy story, so Google it. Since “Nosferatu” is almost directly based on “Dracula,” our film of the hour centers on a vampire, of course, which is why it works for this week’s theme. This is the first of two vampire flicks this week, and while it does allow some eerie moments to creep in, there’s only so much fear a creature that looks more like a pointy-eared Anton Ego from “Ratatouille” than a vampire can strike in the hearts of a modern audience. However, imagining the reaction of 1922 viewers is so much fun to me. This movie must have horrified people back then and caused nightmares in the same way movies like “Coraline” or “Beetlejuice” did for a much younger version of myself. The story begins with the most horrifying thing in the film: real-estate dealings. A slender hermit named Count Orlok, who may or may not be a vampire, wants to buy a house across the street from Hutter, our protagonist. It’s no big deal. He just wants in on that hip nightlife he’s been hearing about for so long. Sadly, he proves our notions of his vampirism correct by attempting to infect Hutter and his wife Ellen’s town with a plague. It’s a bit of a bummer for the town, so they need to find a way to combat this force of nature before it’s too late. I mentioned modern audiences earlier, and this movie contains something that tends to be rather popular with them: jump scares, the first in our series. Jump scares have become paramount for modern horror, albeit probably a tad too much. Rather than relying on convincing performances, tension and making a statement, many recent horror films prefer a multitude of things jumping out on screen and sucking the tension out of the theater. “Nosferatu,” like many horror films that know what they are doing, doesn’t overuse this tactic, and although the jump scare is underwhelming by today’s standards, the fact that it’s there is unexpected yet welcome. If you have to watch “Nosferatu” for whatever reason, it won’t be the worst thing ever, and you can learn a lot. But, by modern standards, this one is a little harder to watch than “Caligari,” regardless of its improved picture and sound quality, camerawork and character agency. We’re done with the silent era, and I was genuinely excited when I actually heard the characters speak. There are two simple qualities that make “Dracula” a contender for the best film of the week. The first is that this movie contains the glory that is a man attempting to literally punch a bat out of the sky. And the second is the quote, “Dracula is in the house!” because it implies that Dracula is definitely the life of every party he shows up to. In all seriousness, the film’s basic plot is shockingly similar to “Nosferatu,” considering they’re based off the same book, but the movies are very different. I didn’t realize the actual Dracula story started off with real-estate dealings, so my mind was blown when this movie started in much the same way as the last. The two vampire films on our list start to differentiate after this. The 1931 movie follows the Transylvanian terror through London as he snakes his way into upper-class society and bites the necks of numerous unassuming citizens. Simultaneously, we are introduced to Dr. Van Helsing, whose job it is to stop the vampire’s dastardly doings before it’s too late. “Dracula” is where we encounter our third cliché: social commentary. “Nosferatu” covers some of the same ground, but “Dracula” is more obvious in its depiction of the upper class preying upon anyone they see as below them. Considering it’s not a silent movie, the ideas are displayed more clearly, and the story is allowed to flow more smoothly than in “Nosferatu.” Unlike the vampire in “Nosferatu,” which looked more like a creature, Dracula looks like a normal man in most scenarios. This allows him to infiltrate society and gain access to his victims in scenes that feel remarkably invasive, even in 1931. Watching Dracula slowly get right up to the necks of his victims feels almost wrong, but it’s a definitively strong element of the movie. Bela Lugosi just is Dracula. He has the long black cape and slicked-back hair everyone associates with the character and is suitably weird and campy in his purposefully stilted, but charming, delivery. He is the spitting image of the stereotypical vampire, and he is a delight. The iconography that goes with the monster is all there. Crucifixes, bats, a stifling fog, wolfsbane and a stake through the heart all make their appearances here. This is our first classic movie monster, and the film spares no expense in establishing that. Dracula contains one more surprising cliché in that it contains characters that make outrageously dumb decisions based on the situation they’re in, such as when a character goes down a dark hallway alone after hearing a noise and disregards that they just turned off a news report about a serial killer in the area. “Dracula” has a few situations like this, although they aren’t as spot-on. But stupidity can make itself known in more ways than one. If you only watch one vampire movie, it should be this one over “Nosferatu,” but the latter works as a solid companion piece. This is it. 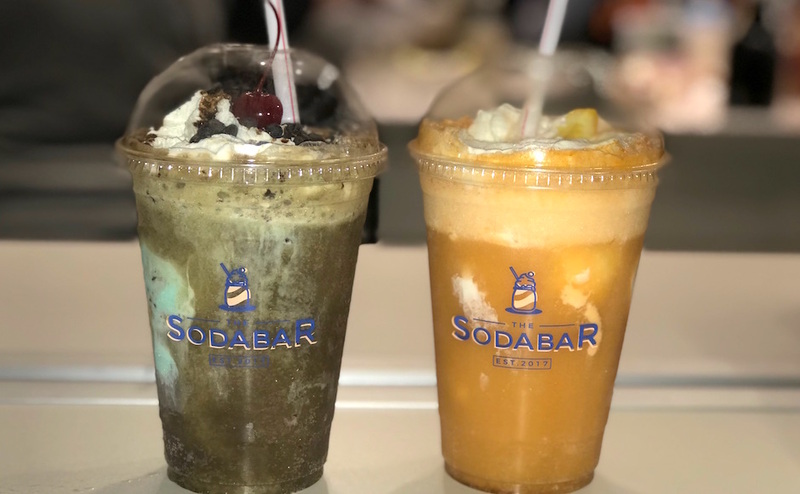 We have saved the best for last. “Frankenstein” was directed by James Whale, who has directing credit for more movies on my list than anyone else, and I could not be more excited to see what else he has in store. “Frankenstein” is easily the most complete film we’ve seen so far, from the makeup to Boris Karloff’s monster to the emotional component to simply being more elegantly crafted from start to finish. Frankenstein’s monster is the most horrifying of the cast of monsters so far, with his scarred forehead, sagging eyes and hulking form, painting a picture-perfect nightmare creature that must have scared the pants off of any kid in 1931. That’s why the empathy we have for his character is so exquisite. 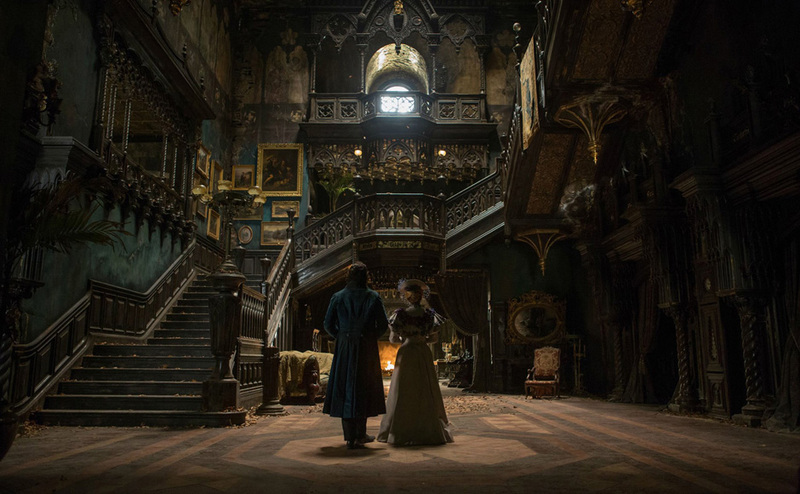 More than any film previously, “Frankenstein” manages to tug at your heartstrings. The scene in which the monster makes flower boats with a young girl is so sincere even when it becomes heart-wrenching. “Frankenstein” establishes itself as different from the moment it begins, with a narrator acknowledging the “terrifying” and “scarring” nature of what the audience is about to witness. He explains the theme and heart of the story from the beginning, and it’s a perfect precursor to the story. While neither Frankenstein nor his fellow humans get the attention a protagonist normally would, Whale’s decision to place the movie’s soul on its only literally soulless figure is a wise one. The scenes focused on the monster gain infinitely more mileage than pretty much everything else. The monster has a clear and understandable motive and is deserving of our empathy in a way no other character is. Which brings me to Frederick Kerr, who plays Frankenstein’s dad. Good heavens, this character was amazing. He plays a cranky old man who just will not take any nonsense from anyone, even when his son is in the process of attempting to create life. He’s in a wacky family comedy while every other performer, aside from Karloff, is in a drama, and this was the first time I laughed at something that was intended to be funny. “Frankenstein” also contains its share of horror clichés. First off, it introduces the mad scientist character into the horror echelon, even though the scientist of this discussion eventually sees the error of his ways. Most of the time, it’s the scientist who refuses to step back from his creation or pursuit, regardless of the danger it poses to the people around them, or because they’re the villain themselves, such as “The Fly” or “Re-animator.” Another is the mob of angry villagers who carry torches and pitchforks to kill the monster. This is also our first film to have the people fight back against the monster as a genuine plot point, which demonstrates some serious progress, story-wise. “Frankenstein” is the best film of “monsters” week and remains the classic it is for good reason. Next week, we’ll talk about “atmosphere” and explore how directors use different settings and tones to craft their narrative. This means things are going to get a bit more complex. The movies won’t just be the ones you already watched in your film class, and there are no more silent movies. The first movie of next week will be “Freaks” from 1932. 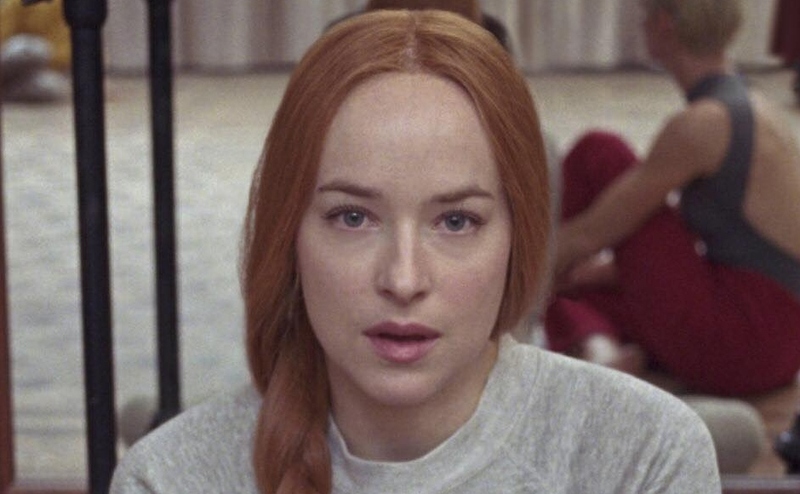 Giallo v. Guadagnino: Does the 2018 reimagining of ‘Suspiria’ hold up to the original? 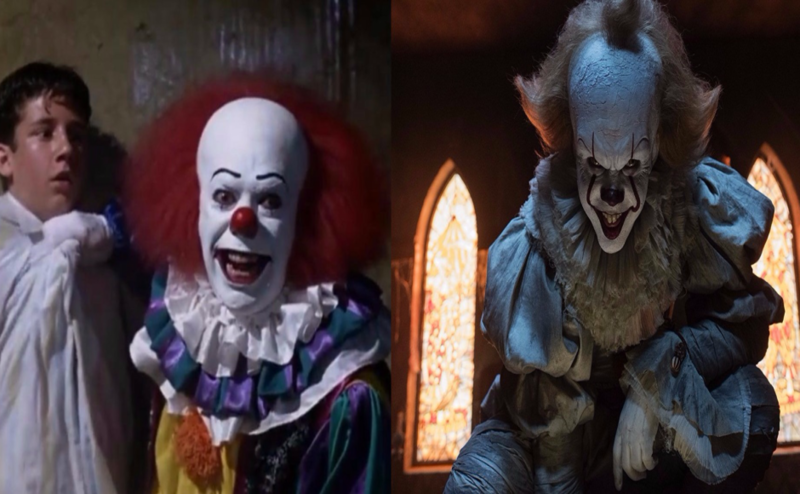 ‘It’ v. ‘It’: Which clown wears the crown?